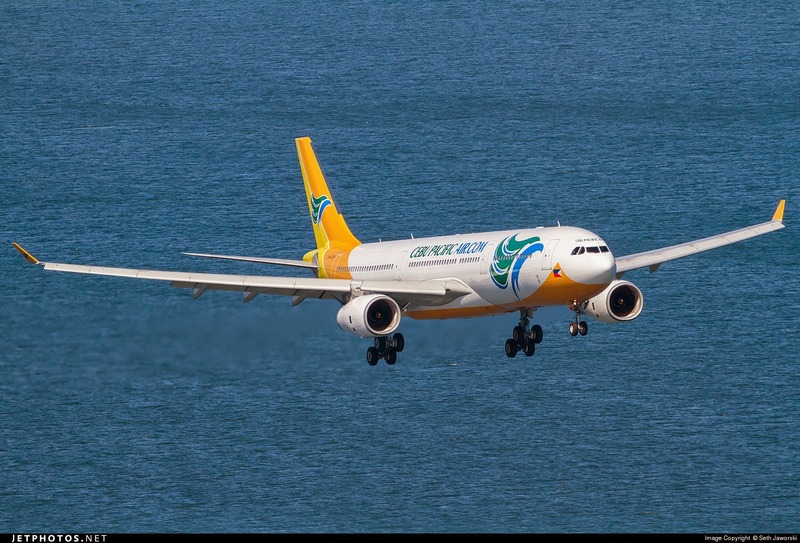 Aviation Updates Philippines - The Philippines' leading airline, Cebu Pacific Air (PSE:CEB) now flies thrice weekly, non-stop flights between Manila and Riyadh. The maiden flight for Cebu Pacific's Manila-Riyadh service departed at 5:05pm today. Cebu Pacific is the only low-cost carrier flying between the Philippines and the Kingdom of Saudi Arabia. CEB's flights from Manila to Riyadh depart at 5:05pm (Manila time) and arrive in Riyadh at 11:35pm (Riyadh time) every Wednesday, Friday, and Sunday. Flights from Riyadh to Manila depart at 12:45am (Riyadh time) and arrive in Manila at 3:40pm (Manila time) every Monday, Thursday and Saturday. CEB's Manila to Riyadh service utilizes CEB's brand-new Airbus A330-300 aircraft with a configuration of 436 all-economy class seats. It offers fast and convenient same-terminal connecting flights for guests taking advantage of CEB's extensive Philippine network. Passengers may also opt to purchase baggage allowance, seat selection, CEB Air Wi-Fi connectivity inflight and Hot Meals. The maiden flight passengers were sent off by CEB General Manager for Long Haul Alex Reyes, Department of Foreign Affairs Executive Director for Migrant Workers Affairs Ricardo Endaya; 2nd Secretary Fahad Eid M. AlRashidy of the Royal Embassy of Saudi Arabia; Civil Aviation Authority of the Philippines Deputy Director General II Beda Badiola; and, Ninoy Aquino International Airport Terminal 3 Manager Octavio Lina, among other esteemed guests. "Cebu Pacific will keep flying to where the Filipinos are. As we expand our operations in the Middle East, we are proud to offer even more Filipinos in the Kingdom of Saudi Arabia – the fastest, most affordable way to come home," said Reyes. Meanwhile, CEB will fly non-stop to and from Dammam thrice weekly, starting October 4. Aside from Dubai, Riyadh, and Kuwait, CEB's long-haul division also operates direct flights between Manila and Sydney.